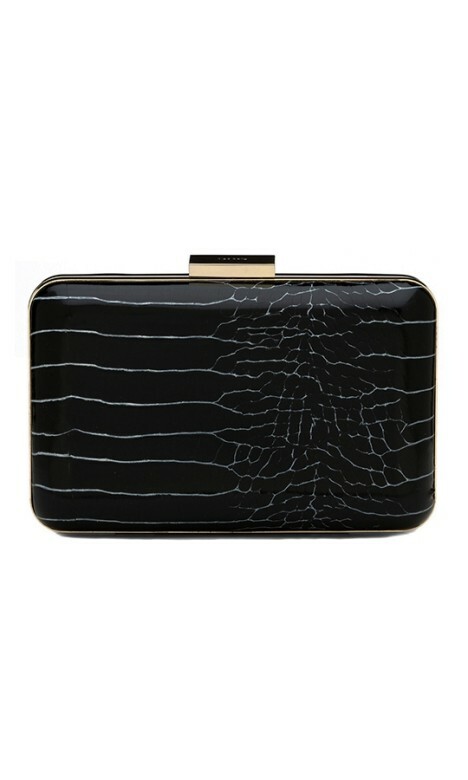 This gorgeous clutch by Olga Berg features a beautiful black and white crocodile print. With gold hardware and an embossed clasp, this style is perfect for any occasion. It comes with a detachable shoulder strap for versatility. Whether you're looking to rock a statement midi dress, a gorgeous colour block piece, or a classical little black dress, this clutch is the finishing touch you need for your work function look! Pair yours with some understated silver statement accessories to really make it pop, and try an up-do for a girl-on-the-go look! For more outfit inspiration, check out our 'Rent a Dress For a Work Event' customer story !